The rest of Los Angeles may seem as congested as ever, but traffic at UCLA is the lightest it’s ever been since the university began measuring more than 20 years ago. The 2011 commuting report marks the eighth consecutive year that UCLA’s vehicle count dropped. With an average of 102,000 trips daily, the number of vehicle trips into and out of UCLA in 2011 was more than 3 percent lower than in 2010 and almost 20 percent lower than the campus’s peak in 2003. “Vehicle counts are lower now than they were in 1990, when the cordon count first began,” according to UCLA Transportation’s newly released State of the Commute annual report. UCLA Transportation offers incentives to encourage UCLA’s approximately 41,000 students and 26,000 employees to use alternative transportation, including a 50 percent subsidy for transit passes, discounted parking for carpoolers and a partially subsidized vanpool. The department also offers a variety of other benefits through the Bruin Commuter Club, which is open to all alternative-mode commuters, from bikers and walkers to bus-riders and carpoolers. UCLA is approaching its goal of convincing half of its employees to switch to alternative transit, and only 52.9 percent currently drive to work alone, compared with nearly 72 percent of Los Angeles County drivers. Only 25 percent of students drive alone. 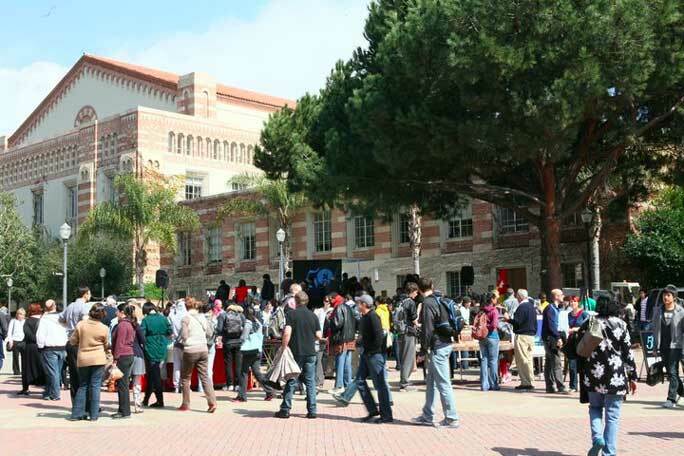 UCLA’s 50 percent goal is part of the campus’s Climate Action Plan. Still, that didn’t stop planners from ripping out cycle tracks and starting to design streets for cars as Europe modernized in the wake of World War II. By the early 1960s, much of the cycling infrastructure that had existed in the pre-war era was gone, and the percentage of the population using bicycles for transportation fell to an all-time low of 10 percent. Then history intervened. “The energy crisis in 1973 hit Denmark hard. Very hard,” writes Colville-Andersen. 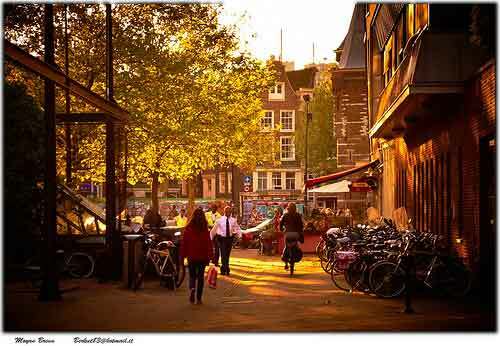 “Car-free Sundays were introduced in order to save fuel. Every second streetlight was turned off in order to save energy. A groundswell of public discontent started to form. People wanted to be able to ride their bicycles again — safely. Protests took place…. The energy crisis faded, but then returned in 1979. More protests. One form of protest/awareness was painting white crosses on the asphalt where cyclists had been killed. This time, things happened. We started to rebuild our cycle track network in the early 1980s. Fatalities and injuries started falling. The network was expanded. 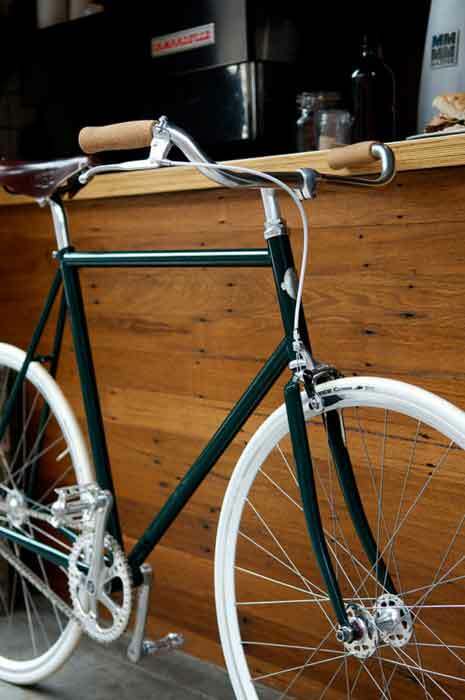 My favorite kind of bike – road bike – made for travelling at high speeds on city streets. Looks like it’s been modified by removing the curving ram horn handlebars and replacing them with classic cruiser handlebars. A couple of years ago bike sharing came to Washington D.C. when I was living there. At first the concept confused me until someone explained that it’s like a taxi, designed to get you from one point to another. With enough stations it can be a convenient, healthy, and cheaper method to get around town. The private investment from Bike Nation will not need any city money, according to the mayor’s office and the company. Bike Nation has agreed to a minimum contract of 10 years. 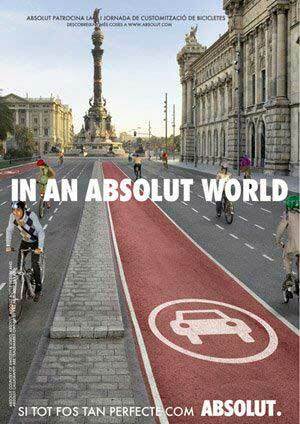 The service becomes one more crucial link for those living a car-free life. The rates are much cheaper than a taxi at $1.50/hour or $6/day, with trips shorter than 30 minutes being free. But you can expect most folks to one-year pass for $75 (students/seniors, $60). 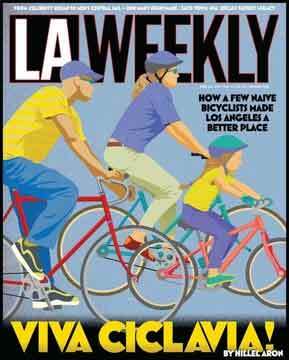 Bike Nation also has plans to create a smaller program in Anaheim in June. In a first step toward restoring one of Southern California’s few remaining wetlands and opening it to the public, the state has approved spending $6.5 million for planning a massive restoration of the degraded Ballona Wetlands. (In the plan) initial proposals call for spending $100 million to remove concrete levees and truck out tons of sediment dumped on the property, allowing water from Ballona Creek and the sea to flow into the wetlands. Bike paths would be built atop earthen flood-control berms on the reserve’s perimeter and public boardwalks would allow visitors access to the site without disturbing plants, birds and other wildlife. “We have the potential at Ballona to restore this degraded and damaged habitat and return it to a beautiful, sustainable natural refuge for people and wildlife,” Luce said. The vast coastal wetlands once spanned 2,000 acres at the mouth of Ballona Creek, covering much of what is now Marina del Rey, Playa del Rey and Venice. Only a quarter remains today, much of it a dry, fenced-off expanse of brush that is littered with garbage in places, surrounded by high-rises and subdivisions and criss-crossed by congested boulevards. Developers and environmental activists wrangled over the site for decades before the state agreed in 2003 to spend $139 million to acquire it as an ecological reserve. A national wetlands inventory released this week by the U.S. Fish and Wildlife Service found that between 2004 and 2009, the lower 48 states lost a net average of 13,800 acres a year. That compared with a slight annual gain in wetlands during the previous six year-period. The U.S. Navy is upgrading its defensive and offensive capabilities in the Persian Gulf to counter threats from Iran to seize the Strait of Hormuz and block the flow of oil, the chief of naval operations said Friday. Adm. Jonathan W. Greenert told reporters in Washington that the Navy will add four more mine-sweeping ships and four more CH-53 Sea Stallion helicopters with mine-detection capability. The Navy is also sending more underwater unmanned mine-neutralization units to the region. Greenert said he plans to assign more patrol craft to the gulf, possibly armed with Mark 38 Gatling guns. The narrow Strait of Hormuz is a key transit way for oil tankers. Any closure of the strait could send oil prices skyrocketing, officials say. Makes riding a bike for those “70 percent of Americans’ car trips are less than two miles long,” seem like a better idea.